Move Your Business to the Right Social Media Platforms. Photo courtesy of Garann Rose Means. Above Promotions Company. Tampa, FL 2013. With hundreds of social media platforms out there, it can be confusing as to where you should be. I mean, who can really expect to be on each one, let alone updating them all. Of course many of us have a Facebook, Twitter, LinkedIn, Google +, Instagram, Pinterest and Tumblr accounts, but what about the Reddits, StumbleUpons and Disqus of the social media world? Where do they lie? It has been often said that “in business you should be everywhere”. And while I do agree you should be everywhere, your return on investment, may not yield a profit from this approach. This holds true offline or online. 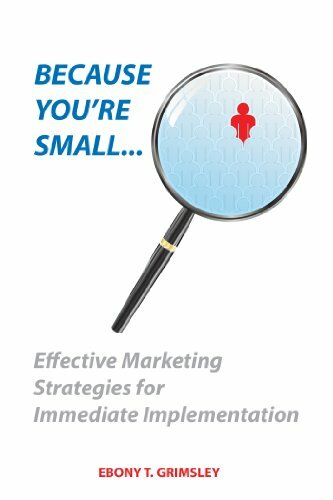 As mentioned in my book, “Because You’re Small: Effective Marketing Strategies for Immediate Implementation”, you must be in the social media game, but at what cost? In fact, do you have any clue what your Social Media ROI is for your business? In the book I provide and explain a formula to use in order to see if you’re balancing your social media expenses within your marketing budget. By measuring and knowing your ROI, you can prove your case to your manager, boss or even yourself as a business owner, if being on Fancy (TheFancy.com) is worth your time and money. With that said, being everywhere makes sense, at least from keeping people from squatting under your name and brand, but can you still manage to increase any chance of visibility if you’re not updating each account? In fact, with so many people being hacked, would it even be helpful to have an account only to realize when you do log in, someone has taken it over with their spam? So what’s the solution? Understanding your demographic and the demographics of the social media platform that you are questioning is key. For example, if you’re in the middle-aged women’s fashion industry. You need to be on platforms that support your products or services, like Pinterest. There are so many different organizations collecting and releasing statistics on a regular basis. The information itself is not hard to obtain. Sites like PewInternet.com provide data that businesses and non-profits can use to target their demographic. Now these sites are just a tool to help guide you, but you at least have some sense of direction as to where you should be. So if you’re sitting in a dry social media place where leads come every few months, consider moving and concentrating on another platform. Nothing is permanent and no one says you can’t have an address there. Just don’t let it be your primary residence. What do you think? Do you need to be everywhere? Have you limited your presence to just a few social media sites? How are your leads working there for you? Comment below. You may appear in a future post. If we can learn anything from yesterday’s post, it’s that talking too much can upset others. Or even talking anything too close to politics can as well. No matter your political stance what you say in-person and in writing is evaluated for the public. This lesson goes hand-in-hand with today’s post by a guest blogger. Today I am pleased to share Brenda Ellison of MyInfoSnap.com with each of you. She is a colleague and friend to Above Promotions and is highly respected for the wealth of information she knows or has access to for research. Take a moment to check out her must-read social media reminder below, then be sure to visit her website or follow her on Facebook or Twitter. Well, if this year has taught me anything, it’s that some people on social media no longer have any filters when it comes to politics, religion, business and just about anything else. While I did observe Twitter and LinkedIn tweeting and posting conformed pretty well to a more ethical nature, Facebook became a knock-down, drag out, “lose your friends” battleground. I felt like I stepped into an old western or worse, an old time war movie. Something I had previously looked forward to each day became something I dreaded for fear of what I would see. “Did they just really say that?” my new mantra. The elections brought out the very worst in people as they ranted, raved and raged at anyone within reading distance. The lashing became so distasteful I found myself “hiding” more posts than I could keep up with, scrambling to redefine certain Facebook friend’s wall access and finally deleting some that just couldn’t find a decent thing to say….Ever. One thing it did teach me….don’t just accept any friendship because I’m asked. Check out their wall and photos….you may find it better to ignore. It seems people tend to think their “wall” is their personal diary or journal only the closest friends can see……hold on just one minute people. Whether you realize it or not, once you accept online friendship you are subjecting them to your daily opinions…and their friends, and friends of friends. This is a world of global proportions and it ain’t the neighbor’s backyard fence. Personal walls are many times connected to business pages and in some cases, they are the same. Do you really want to put yourself out there like that? I’m no Emily Post and I sure like to have a good laugh, occasionally lament or sympathize with a good cause but come on people, it’s time for some new ground rules. Emily Post. Picture Courtesy of Britannica. Above Promotions Company. Tampa, FL 2012. TMFI-Too Much Facebook Information….if you can’t say it to someone’s face, a large group of people or in front of your parents, reconsider posting it. People don’t want to hear about your bodily functions (or lack thereof). Are your kids on your page? Would you want them reading it? If I Google you, will that perhaps come up? Maybe. Think about it. Politics + Religion = Bad Combination. When has this ever worked…even at the family get together? No, it’s not a good idea. Period. Sharing positive, strong and fact checked information just doesn’t happen so why create bad feelings about personal beliefs? Perhaps you should consider moving to another country if you feel that badly. I’m not sure they will want you either. Join a special group or movement to share like-minded opinions….no one else wants to hear them. Groups….that’s why they were created. Preacher Syndrome…..you may have a knack, a special talent, something you’re really good at. Does everyone else want to hear about it day in and day out? Do they want to be chastised or criticized because they don’t “believe” as you do? Get real. Again, the answer is a big NO. It’s okay to put things out there for others to share and enjoy. Everything in moderation is an age-old adage that still holds true. Please don’t post the same thing twelve different ways within an hour….chances are people are hitting the hide button as a prelude to “unfriend”. Slander…..this has to be mentioned. Bigotry, racism, ethnic and religious slurring should be banned from the world of social media. A big hand should come down and knock the post right off the page. Social media is a place to meet and be friends, do business and share in the everyday ups and downs of life. This world has all kinds of people and all kinds of beliefs. You may not agree, you may not like what they like but be the kind of person who can agree to disagree without nasty statements intended to hurt and malign. You get back what you put out there. All of this being said, I know this is not the bulk of my friendships or the true core of my FB relationships. Over the past year I have gained some of the best online business and personal relationships ever. Sometimes one (or two) bad apples can spoil the whole darn bunch. What are your opinions about social media’s recent fall from “grace”? How did it affect the way you use social media? Would you like to see a little more filtering? I would love to hear your opinions, comments and questions. POLL FRIDAY: Do You Update Your Social Media Accounts More Than Your Website? Happy Friday! Time for another poll. Now, it is suspected many people will update their social media pages more often than their website, but just how often? Or have you forgotten about your website? 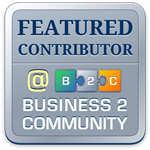 Take the poll and see where you fall in with your fellow business owners.